One of the leading mobile brands in India is the South Korean Samsung. The brand is not only preferred for its smartphones, but for multiple other electronic items like air conditioners, refrigerators, microwaves, etc. It is one of those brands which are known for providing reasonable quality and performance in all of its products. It is the brand that provides its consumers with multiple launches every year for a variety of its products. Although several Samsung mobiles have already been launched this year, one of its most preferred and popular launches are the Samsung Galaxy A5 2017, and Samsung Galaxy A7 2017. These are not one of those devices that are being launched for the first time, but are rather an updated version of their already existing models. These are thus more expensive as well. However, these devices are certainly worth the amount of money you pay for them. The question however remains, which one of the two is better, and should be bought instead? To get an answer to this, you will have to read the whole article. Operating Software – One of the major determinants of the performance of a device is the software it runs on. And although Samsung Galaxy A5 2017 and A7 2017 are both one of the recently launched devices, none of them runs on the latest Android Nougat. Both the handsets are running on Android marshmallow. This however does not affect the performance in a negative way, as the devices continue to perform smoothly and without any hassles. And will hopefully allow for an update to Android Nougat very soon. This discrepancy can thus be ignored, as they continue to be well performing devices. Screen and Display – Moving ahead of the operating system, the next thing we focus on, is the screen of the device. And although the size is what we notice first, the resolution is equally important. Samsung Galaxy A5 2017 as well as A7 2017, have a screen resolution of 1080 X 1920 pixels, however the screen sizes of both the devices are different. A5 2017 has a screen size of 5.2 inches; whereas the screen size of A7 is bigger by 0.5 inches i.e. it has a screen size of 5.7 inches. Camera – What is often used by brands to create marked differences between devices and then use them for marketing, has been left similar. Both Samsung Galaxy A5 2017 and A7 2017 have a front as well as rear camera of 16 MP. You can now click equally clear and vivid selfies, as you click pictures from your rear camera. This is thus one of those features which makes one believe that opting for the lower model might just be a better option. Battery Life – This is an area where you can spot differences between these devices. Samsung Galaxy A5 2017 has a 3000 mAh non removable battery, and A7 2017 is powered by a 3600 mAh non removable battery. Although there is a considerable difference among the battery potential of both the devices, there is also a marked difference between their prices, which makes one wonder if paying extra for A7 2017 and getting so less is actually worth it. Performance – One of the key specifications to distinguish one device from another is its processor, RAM and storage capacity. All of which are again same in Samsung Galaxy A5 2017 and Samsung Galaxy A7 2017. A5 2017 has 1.9 GHZ octacore Exynos processor, which is exactly what is contained inside A7 2017 as well. Talking about the RAM and storage of the device; they too are left identical with both the handsets supporting 3GB RAM and 16 GB internal memory, along with scope for extending up to 256 GB. 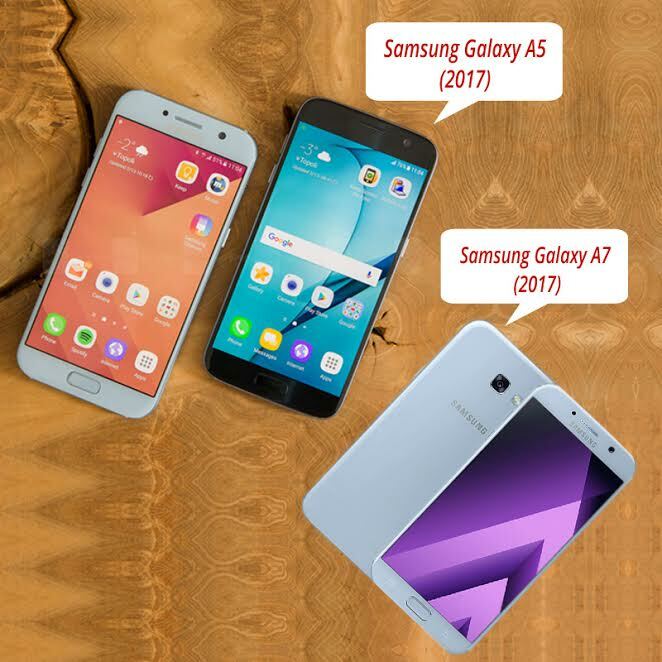 Verdict – Although Samsung Galaxy A5 2017 and Samsung Galaxy A7 2017 are one of the most looked up mobile phones of this year, they have very little feature differences and high price differences. A7 is around 5 – 6 thousand more expensive, and only offers a 0.5 inch bigger screen and a more powerful battery, which is insufficient for a device of this screen size. It should have had a battery around 3800 – 4000 mAh. Keeping all the above mentioned factors in mind, it can easily be said that A5 2017 is a better and more sensible option to go for. NextHow Can You Get Free Coupons From a Coupon Website?